Mescos Group is the pioneer in leather industry and they began to take the infant steps in the market from their business verticals in Uttar Pradesh and New Delhi and progressively expanded to global market. They have been doing business in leather garments, leather footwear, tannery and related leather products. The Group began its flagship program me to expand leather footwear under brand name Mescos Shoes to stretch out its availability and popularity in both domestic and global market. Mescos Shoes wanted to expand its reach with a digital platform and go beyond its set boundaries. It was an offline business and they wanted to explore the widened reach through digital podium. It is quite challenging in today’s digital world of rising competition where e-commerce is pervasive and to make own unique presence. 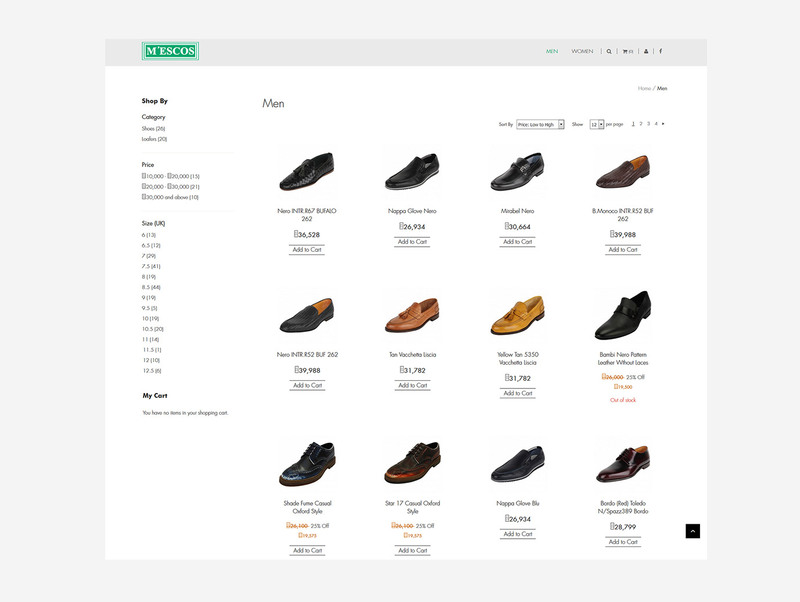 We analyzed the problem and tried to understand the different e-commerce platform to bring an effective solution to enable vibrant online presence of Mescos Shoes. We worked upon to make the e-commerce site more effective with use of grasping images of products and featuring details that online customers look for. 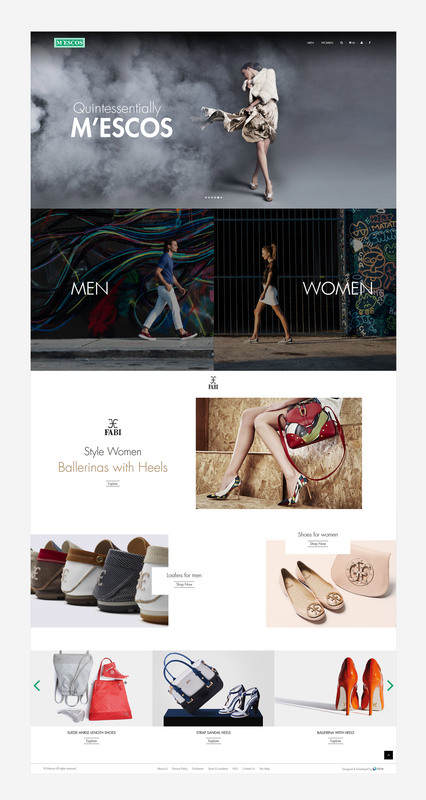 We worked upon building an effective transactional B2C E-commerce site that enables the brand to stretch out the potential customers with detailed information of their leather footwear and other product range. The informational content defining each category for target audience helps the company to cater them at niche. We extended our SMO services to Mescos Shoes and curated the concept for their Facebook Page under the name of ‘Fabi by Mescos’. 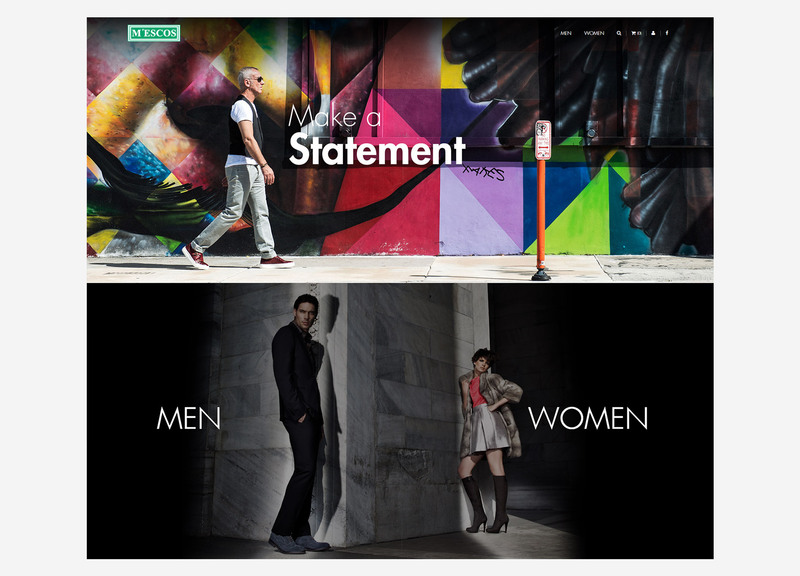 The vibrant and captivating images reflecting the look and feel of the products helped the brand to establish close connection with target and reach out to more who resort to social media for such products. We advanced their reach on digital platform with providing Third Party Marketing services. It helped the brand to boost its reach and popularity that could helped it for more lead generation and conversions. The e-commerce site is running progressively and we are taking care of the site with providing site maintenance services to keep it updated and afresh for the target audience. The social media optimization services has helped the brand to widen its reach and work progressively across the domestic and international market.